Retaining customers is a key factor in any business. Because of the convenience of the internet, having an effective, multifunctional website is more than important. Search Engine Optimization and Paid Online Marketing are changing the way that businesses find new clients and keep old ones. For your company to thrive, you need to have a website that engages your target audience and improves visitor behavior. Understanding how visitors interact with your website creates an opportunity to improve your website. There are several different areas of the website that need to be looked at to create the best experience for your audience. 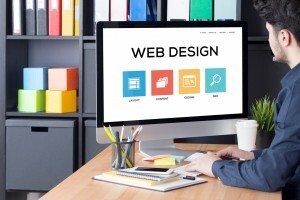 Follow these 15 steps to the best website design in 2018. Keep It Simple – Rely on a simple and fresh website design. Having too much information can make your visitor feel overwhelmed and make it difficult for them to find what they are looking for. Too many links and pages will disengage a user and force them from your website in hopes of finding a company with a cleaner, more professional, and easy-to-browse website. Compatibility – Make sure that the design of your website is compatible across multiple devices. Some websites are not designed to be mobile-friendly and this will create issues for users. Mobile devices are driving a huge number of visitors to different websites and websites that load slowly or are not sized to fit different mobile devices will keep visitors from fully engaging with your website and can limit your client-base. Social Accessibility – Social interaction is a great way to get your audience interacting with you and your website and creates personalization for them. Give your audience the ability to contribute reviews and thoughts. Have a questions and answers page that your visitors can utilize. Social experience is a great way for your visitors to see how previous customers view you, your product or service, and your company. Enough Is Never Enough – Don’t ever think that your website is perfect. You can test user engagement on your website by testing different content, adding and removing videos and animation, and test new pages for social interaction. The “Contact Us” page and “About Us” page are two pages that are often taken for granted. These two pages often receive a lot of traffic and updating the content/testing different content can increase user engagement and result in conversions. Stick To Your Specialty – Don’t go crazy with the content on your website. You offer a specific product or a specific service and you want to come across to your audience as the expert in your field. Your content should target a specific audience and should be simple, straight to the point, and easy to read. Perfect Point Marketing is a full-service website-design in Blackfoot Idaho that is experienced in website design & search engine optimization. If you have questions about how to vamp up your website and help you create a design that will engage your target audience and build your client/customer base – contact us now. We would love to speak with you about what services we can offer and how we can help your website dominate your industry.